The Webb County Heritage Foundation will host an opening reception for the exhibit of entries in the Historic Laredo Photo Competition on Friday, November 30 from 6 p.m. to 8 p.m. at the Villa Antigua Border Heritage Museum, located at 810 Zaragoza Street in Laredo, Texas. The public is invited to view all the competition entries which will be on exhibit until January. The winning 13 selections will be featured in the 2013 Historic Laredo Calendar which will be unveiled that evening and be available for sale to the public. Photos selected for the calendar were chosen among entries submitted to the foundation’s second annual Historic Laredo Photo Competition conducted last summer. 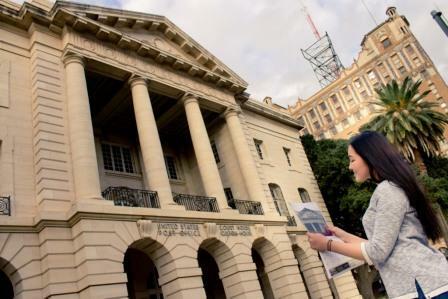 The photo competition was designed to foster a greater appreciation of the region’s historic architecture, significant landmarks and other notable historical features in Laredo and Webb County. In addition, the calendar features some of the important dates in Laredo’s history which is expected to serve as a convenient educational tool. The Webb County Heritage Foundation wishes to acknowledge the work of all the talented photographers who participated in this competition. Mr. Hector Castillo’s photo of the U.S. Post Office and former Federal Building was selected as the first place winner. 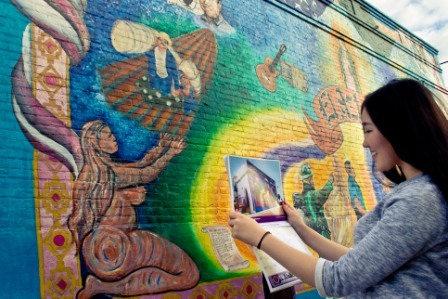 Ms. Marcella Juarez’ photograph of a historic structure in the Dolores area won second place. The 2013 Historic Laredo Calendar is on sale at the Webb County Heritage Foundation office at 500 Flores Avenue, at the Republic of the Rio Grande Museum at 1005 Zaragoza Street and at the Villa Antigua Border Heritage Museum at 810 Zaragoza Street. For more information, please contact the Webb County Heritage Foundation at (956) 727-0977 or at www.webbheritage.org.